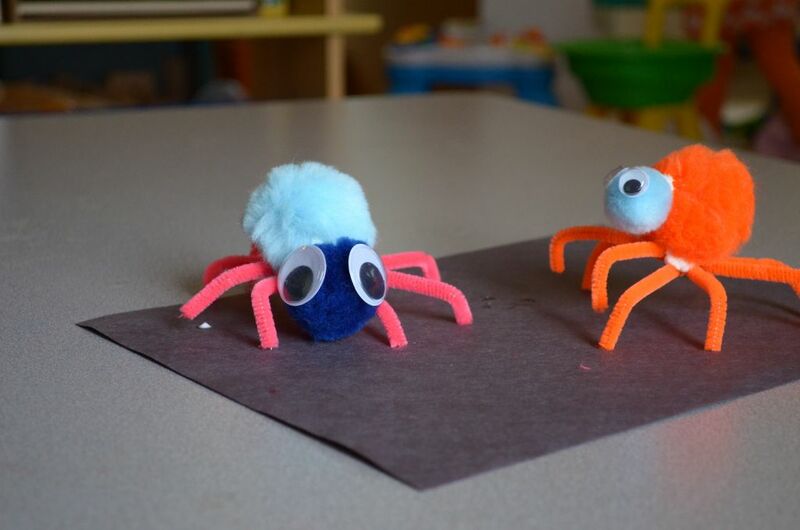 This cute pom pom spider and his web are the perfect activity for a spider theme or for teaching children about spiders. 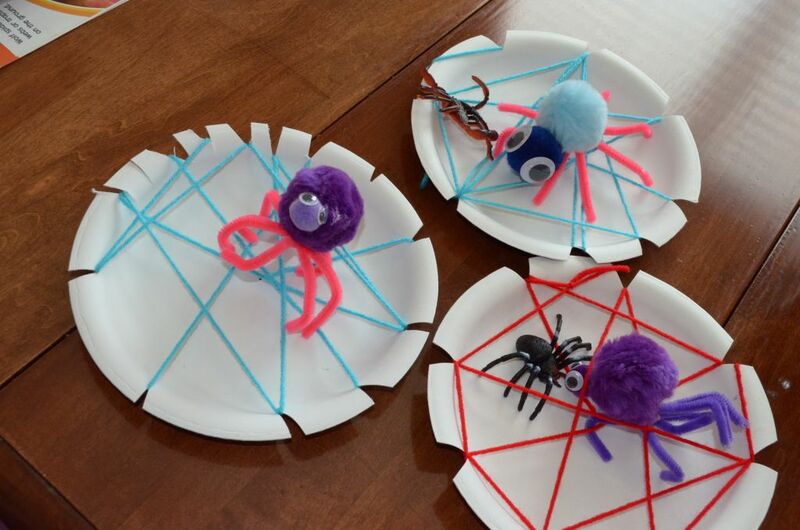 Now they can make their own pet spider, one that we all would love to welcome into our homes. 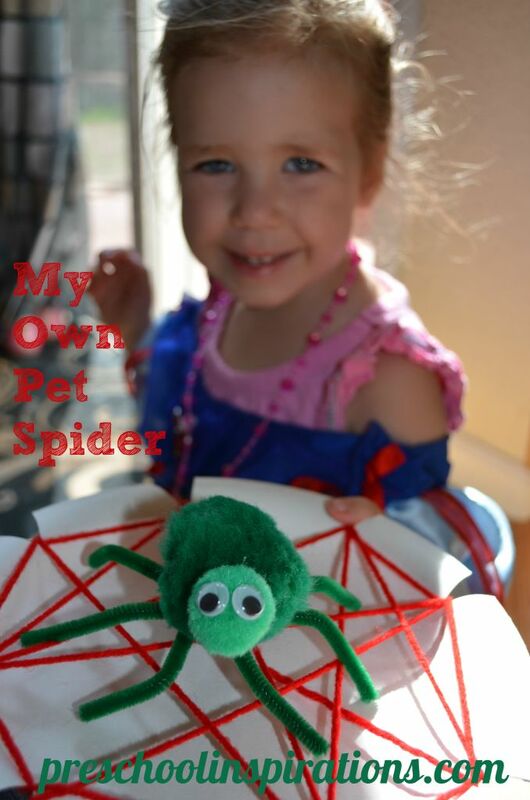 Spider week at Preschool Inspirations continues, and today I am featuring a super cute pom pom spider with its own spider web. 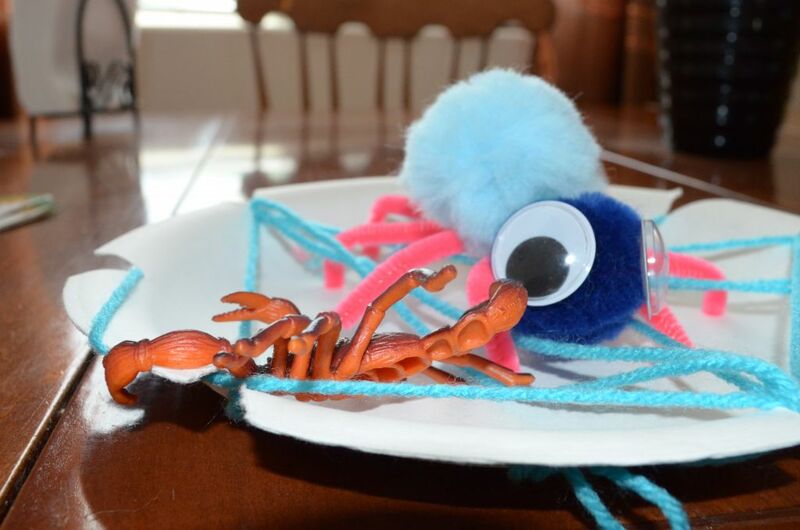 The spider is an easy and quick craft, and all you need are pipe cleaners/chenille stems, pom poms, googly eyes, and glue. 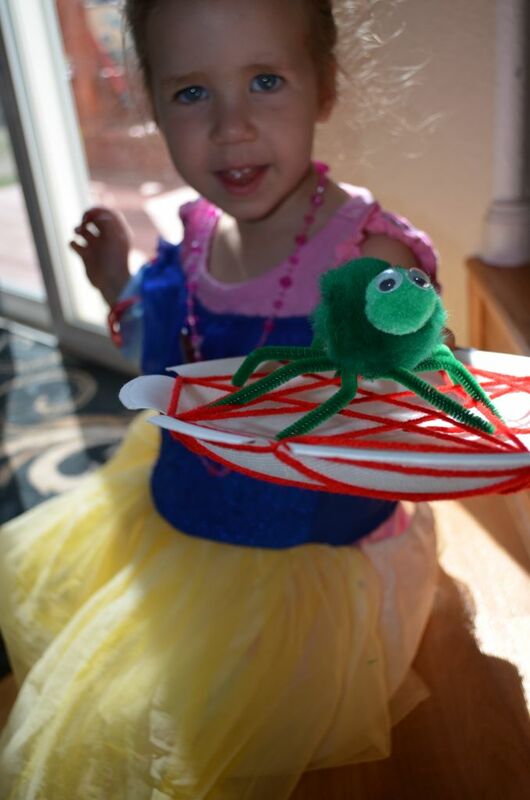 The instructions that I used to make the spider was from Ideas4Kids. Since I had various sizes of pom poms, we chose to add a head by putting a smaller pom pom on. It didn’t leave a lot of room for eyes, but two fit pretty well. I think they turned out pretty adorable. Then we decided to make a nice home for our spiders. We used the wonderful tutorial by Teach Preschool. I had some thick cardboard plates around, and they worked great. I cut triangles for the ones who weren’t quite strong enough, and the others cut their own (and I was quite impressed at how well they did without my assistance). So here the spiders are enjoying their webs! A happy spider with a happy spider owner. And I love posting them of her! It’s amazing how her sweet spirit shows, even through the lens of a camera. I have lots more I can’t wait to show you :).